Women of Substance Radio is an Online Radio Station started by Bree Noble in 2007 that plays the BEST music by female artists in all genres. Bree's vision for the station from the outset was to promote quality female Indie Artists by providing a platform where their music could be heard alongside icons of the past like Carole King, Joni Mitchell, Aretha Franklin, Carly Simon, Fleetwood Mac, Heart, Tracy Chapman, Suzanne Vega, Mariah Carey, Whitney Houston, No Doubt, Tori Amos, Sarah McLachlan, Jewel, Alanis Morissette, Indigo Girls, Michelle Branch, Kelly Clarkson, Sara Bareilles, Colbie Caillat, Adele, Carrie Underwood, Amy Winehouse, Fiona Apple, Christina Perri, Ingrid Michaelson, Lorde, Mary J Blige, The Band Perry, Taylor Swift & so many more. The Women of Substance Music Podcast launched in November 2014. A new episode is released every weekday (5 days per week) highlighting new Indie Music added to WOSRadio. After over 300 Episodes, we've had an amazing 150,000 downloads. We've also achieved the coveted Top Spot in iTunes New & Noteworthy in all 3 of our categories (Music, Art, Society & Culture( and the #2 Audio Podcast in all of iTunes.! AND, in Janaury 2016, our show was awarded a prestigous "Podcasters Paradise Award" for "Most Creative Podcast". What Is A "Woman Of Substance"? Substance can be defined as "significant quality with the implication of a hidden or special significance." Music of Substance is not just entertainment or fluff, but has an essental "core" brimming with heart, soul, and spirit. Women of Substance are female performers who deliver high quality music that speaks to the listener through vocal excellence, depth of character and emotion, and lyrics that leave a lasting impression. This includes Label Artists, Indies and Unsigned artists alike. Our review board selects only the highest quality artists and songs that can stand up next to the superstars. Indie artists we have chosen early in their career have gone on to be Top 24 on American Idol, to win second place on the Bravo show Platinum Hit, and to become a semi-finalist on NBC's The Voice. Bree Noble quit her corporate job as a Director of Finance at a US top 15 Opera Company to pursue music. Besides allowing her to use her God-given vocal and songwriting talent, this career shift enabled her to spend more time with her two young daughters. Bree had a successful 7-year run as a touring singer/songwriter including 3 album releases, several songwriting and artist awards including Best Female Vocalist at the Inland Empire Music Award (2007) and an opportunity to sing the National Anthem at Dodger Stadium in front of 60,000 people. In 2007, during her time as a touring musician, she founded an online radio station, Women of Substance Radio, to promote quality female artists in all genres. During its 10 years on the air, the station became a highly respected and sought-after source of promotion for female artists, pursued by their PR agents and Record Labels. Bree’s marketing efforts cultivated a large Facebook following, significant listenership, a healthy email list and regular advertising revenue. The weekday Podcast of the same name launched in 2014 to spotlight quality songs by unsigned female musicians. A few weeks after its debut, it hit #1 in New & Noteworthy in all 3 of it's categories on iTunes and #4 Audio Podcast for all of iTunes. Bree considers it a privilege to discover and promote amazing artists who are not getting the promotion they deserve from traditional media. In July 2017 the show hit 10,000 monthly listeners and continues to grow. In 2015 Bree launched a 2nd Podcast, the Female Entrepreneur Musician (also #1 in New & Noteworthy), to serve the artists she had been promoting with Women of Substance. On the weekly show, Bree teaches marketing and business strategies for musicians and conducts interviews with successful Indie female artists and industry professionals that are both informational and inspirational. Bree has created a large, enthusiastic following of female musicians over the years. She made this community official when she opened the Female Indie Musician Community on Facebook in July 2016. By mid 2018 the group will have amassed over 3,000 engaged members. Drawing on her extensive experience as a musician and entrepreneur, Bree has created several online courses to help musicians learn to make a living from their music. Her most popular offering is an online training and mentoring community exclusively for female musicians called the "Female Musician Academy". Caitlin is the technical member of the WOS team. She helps write newsletters for WOS and promote the WOS Podcast and Female Entrepreneur Musician Podcast. She also assists with website maintenance and podcast notifications. 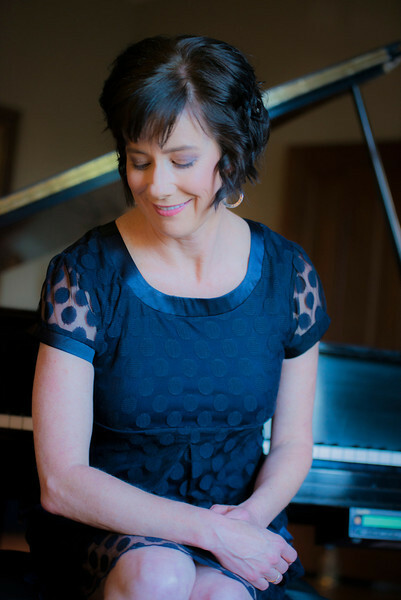 Beth is an Indie Singer-Songwriter, Pianist/Keyboardist, Inspirational Speaker and Recording Artist. 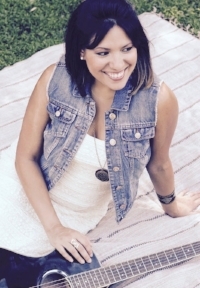 Beth's clear vision is to use her musical passions and gifts to inspire, encourage and uplift others. Beth enjoys being part of the WOS Team. Beth is Community Manager of the Female Indie Musician Community, a Member of the Music Review Board, and she also does Podcast Artist Research and other things to help female indie artists. She's also a valued member of the Female Musician Academy. Ruth is a writer and speaker who has written 2 books about the visually impaired. Ruth is also a teacher of crafting classes including decorative painting and purse-making. For Women of Substance & FEMusician, she is the sponsorship coordinator, helps with email, WOS Podcast Show Notes, video blog, and general customer support. Fill out the form below and I will get back to you as soon as possible! I'm contacting you because * I'm a student and I have a question. I'm thinking about buying your course but I have a question. I'd like to collaborate. I'd like to submit a guest post. I want to give you a testimonial.